Perfect balance of sweet fluidity and articulation that is Yngwie J Malmsteen. 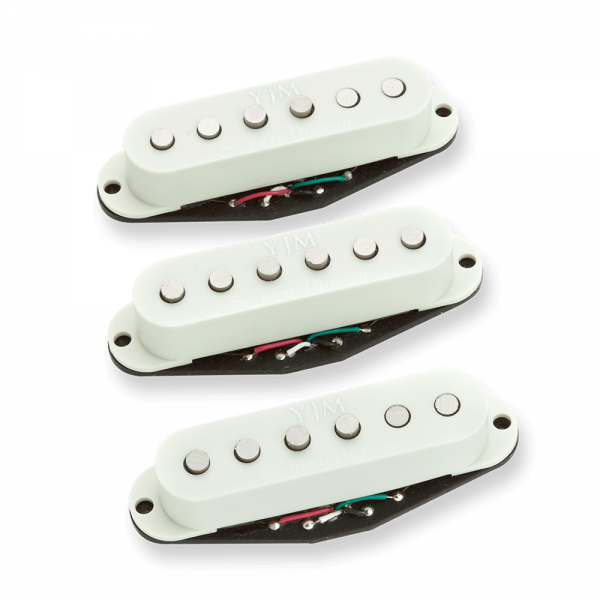 The bridge model is designed to handle Yngwies chordal onslaught, and it delivers a precise, articulate response that has just the right amount of high end without sounding harsh or brittle. 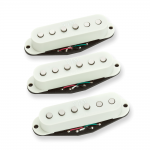 The bridge model is wound hotter to provide better balance with the neck & middle pickups. The neckmiddle model is designed to bring out the balance of Yngwies fluid left-hand technique with his broad mix of right-hand pick attack for a tone that is sweet and smooth. There just the right amount of high end to make this pickup extremely articulate, and especially responsive to dynamics.